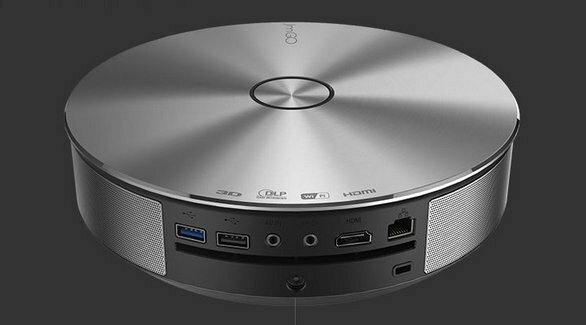 JmGO G1 is a neat looking Android 4.4 projector powered by Mstar 6A918 quad core Cortex A9 processor with a Mali-450MP4 GPU (same as Mstar 9810? ), and featuring a Texas Instruments LED based DLP projector. It comes with USB 2.0 / 3.0 ports, Gigabit Ethernet, HDMI, AV, S/PDIF ports, and four speakers on the periphery. SoC – Mstar MSO6A918 Quad core ARM Cortex A9 @ 1.5GHz with an ARM Mali-450MP4 GPU. I’m not 100% sure of my specifications, as I assumed all video and audio ports are inputs, but I’d be glad to bring correction from people who can read Chinese… A hook is available under the projector to mount it on a tripod or a wall. A simple yet innovative Wi-Fi remote control lets you adjust the projector focus, control the volume, and comes with Back/Home/Menu/Mouse/OK buttons, as well as a microphone for voice control. JmGO G1 costs 2399 CNY (~$392), but I could not find it for sale anywhere, and it’s for sale on Ebay for $566 + shipping. 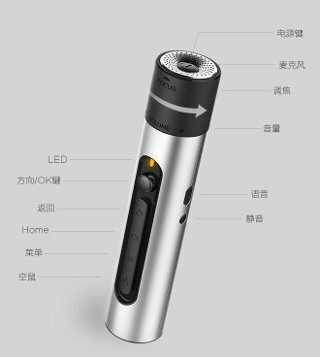 More details and pictures can be found on JmGO G1 product page (Chinese). For that price is pretty good. Any other projector at similar or better price with android? Thanks @google , and in English! 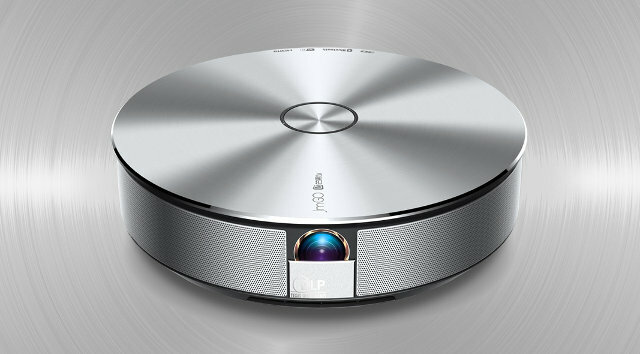 I am looking JmGO G1 projector with English firmware (International Version). Could anyone help me that English version is available, If yes then from where I can buy. Please reply..
We want quotation of JmGO G1S model.